Daisy Kavinya Mwanzia is a Senior Banking Specialist - Mobile Financial Services with MTN Group. Daisy leads and oversees the development of bank partnership products such as mobile saving and lending as well as bank integrations that allow for bank to wallet and wallet to bank services in MTN markets across Africa. Daisy holds a Bachelor’s degree in Computer science as well as a Bachelor’s degree in Philosophy in Information and Knowledge management. Prior to this role, Daisy worked with Safaricom M-PESA where she managed the strategy and product development for M-PESA and Financial institutions such as banks, insurance and investment companies. Before that she spent 5 years in digital channel product development for Commercial Bank of Africa where she developed and rolled out Mobile and Internet channels for bank customers across the East African market. 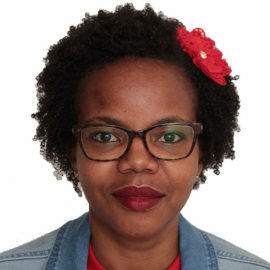 Daisy began her career as a business analyst with NIC Bank Kenya within the enterprise projects department, where her interest in digitization begun.